The other day I had cinnamon buns on my mind, but I didn't have the time to make a full batch of these amazing cinnamon buns. 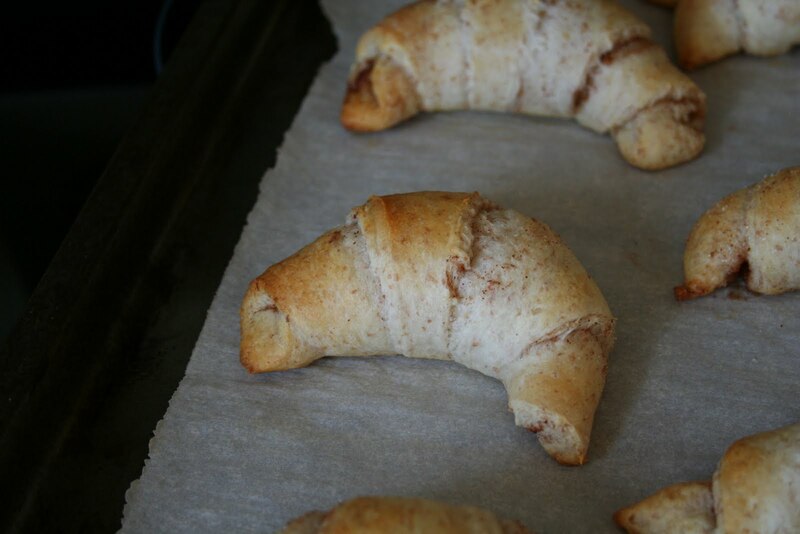 I had grabbed a package of those Pillsbury crescent rolls the other day, and decided to work with what I had! I unrolled the crescent rolls, spread on some butter, and then sprinkled each triangle with some sugar and cinnamon. 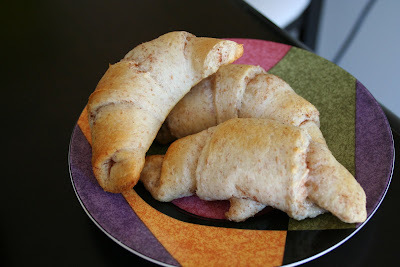 Then I rolled them all up, and in 10 minutes we had warm delicious cinnamon crescent rolls! 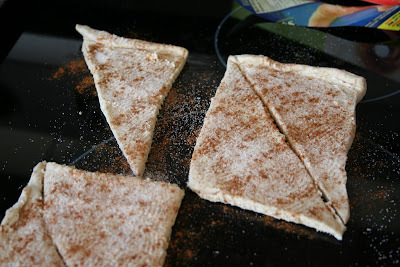 These were so easy :) I am definitely going to keep these in mind for my next quick cinnamon roll fix! 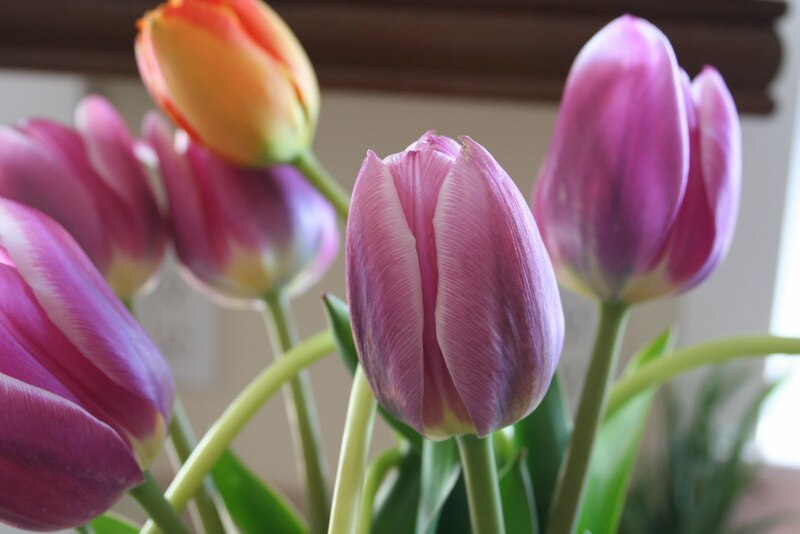 On a side note, it is finally warm outside. I can't get enough of the sun right now! this is such an easy way to make crescent rolls especially when i am short on time!